You may be waiting for your free upgrade even if you reserved your free Windows 10 upgrade months ago. Here's how to get it now if you're impatient. Windows 10 is finally here! So why haven’t you been offered a copy even though you reserved your upgrade months ago? Simple: Because Microsoft only started rolling out Windows 10 on July 29. People are taking advantage of the free upgrade at a blistering pace, and Microsoft doesn’t want to melt its servers. Because of that, the company’s rolling out upgrade prompts slowly—so slowly, in fact, that Microsoft recently warned would-be-upgraders that they may be waiting for a few weeks. Fortunately, there’s a way to skip ahead in line if you’re impatient. 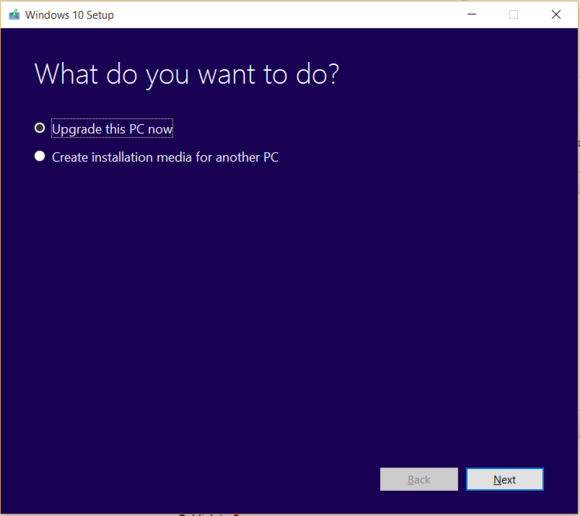 You want the "Upgrade this PC now" option when you run the Windows 10 Media Creation Tool. To find out which version of Windows 10 you need, open File Explorer on your current system, right click on My Computer or This PC, and select Properties. The info will reveal whether you're running a 32-bit or 64-bit version of Windows, which you'll want to match when you're configuring the Media Creation tool. If you're running a Pro or Ultimate version of Windows 7 or 8, you'll want to select Windows 10 Pro; users of Home, Starter, or standard versions of those operating systems can only upgrade to Windows 10 Home. 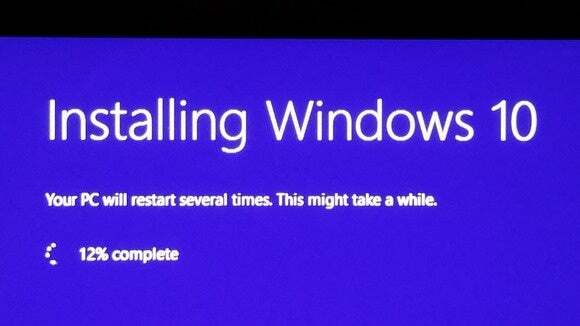 If you have Windows Media Center installed, it will be uninstalled during this process because it's not supported in Windows 10. 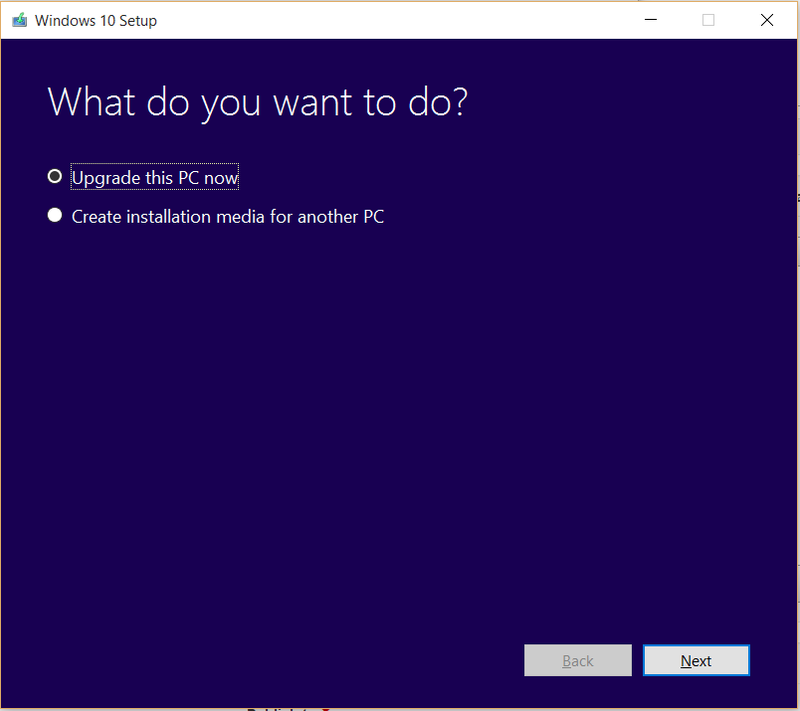 Once you’ve got the installation media ready to rock, simply follow the steps in PCWorld’s guide to installing Windows 10 on your PC—but only after reading our three tips for a hassle-free upgrade, first. An hour or two later, you’ll be basking in Windows 10’s glory. If you didn’t participate in the Windows 10 Technical Preview, you may wonder where to start first. We’ve got you covered with guides to maximizing your first 30 minutes with the operating system, the 10 best new features to try out first, and mammoth looks at Windows 10’s best tips and tricks and hidden features. Enjoy! And don’t tell your kids that you cut the line. Your secret is safe with us.